Commentary Yeah. the current story does NOT have the characters merrily sitting around their kitchen table... i know... I drew this 2 months ago to have a short to get people into twistEd. 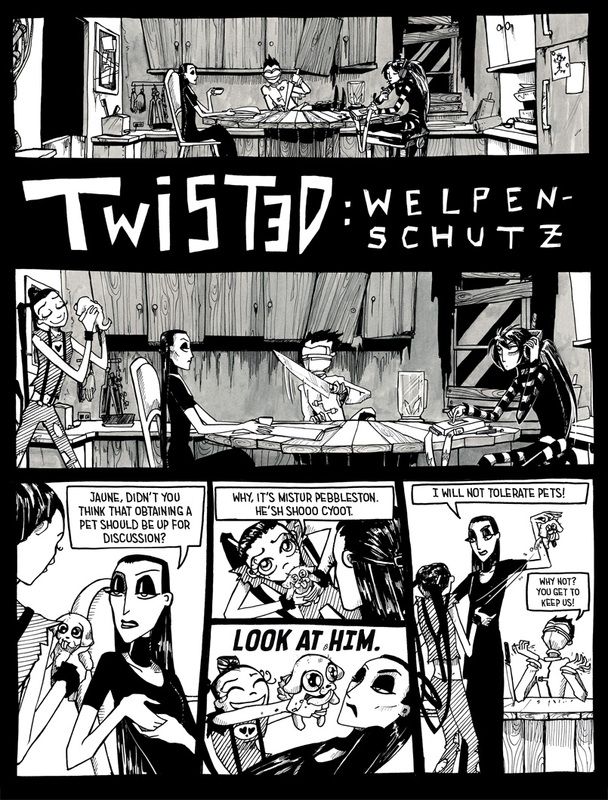 The goal was to have a short comic in twisted-style with all the characters defined, yet abbreviated in a typical twistEd situation. I just returned from the convention where I handed this out for free to everybody wearing a bloody themed tshirt, showing interest in my other artworks or gothy looking. The convention was in Leipzig - finding gothy people was not hard.